In Britain, Armistice or Remembrance Day originally commemorated the cessation of hostilities on the Western Front during World War I on 11 November 1918. That war, however, did not officially end until the signing of the Treaty of Versailles on 28 June 1919. Following World War II, the annual ceremony was extended to include those who had fallen in that war. Since then, it has been extended to those who have fallen in subsequent conflicts such as Korea, Falklands, Persian Gulf, Kosovo, Bosnia, Northern Ireland, Iraq and most recently Afghanistan. Extending the Remembrance Day ceremony back in time to the Boer Wars, South Africa (11 October 1899 – 31 May 1902) was, for one Dovorian, an annual crusade. Every 11 November up until his death in 1954, Bill Traynor, ensure that his fallen comrades in the Boer Wars were remembered. Briefly, the Boer Wars was a conflict between the British and Boers, the latter mainly farmers who had emigrated to South Africa from northern Europe. Over time, they had formed independent Republican States that the British Empire was determined to unite into one country under British rule. The Boer’s fiercely objected and following an unsuccessful rebellion in 1880-81, they organised themselves into fighting units. In 1899, two of these units, the South African Republic and the Republic of the Orange Free State, combined and launched an offensive. The British response, under Lord Kitchener, was quick and initially appeared to be successful, but losses were high. The Boers regrouped and responded with guerrilla tactics and the British response was brutal. Burning farms, restricting civilian movements and the introduction of concentration camps in order to starve the Boer’s into defeat. Eventually the negotiations led to the formation of the Union of South Africa with limited autonomy for the Boers. The British losses were due to combat, disease and general sickliness. Indeed, the Army Medical Corps reported that between 40% and 60% of men presenting for service were physically unfit to fight. This resulted in the major social reforms in Britain, prior to World War I. The night of 6 February 1901, Bill was on duty commanding a section. It was particularly dark and the mist from the lake made it difficult to see. 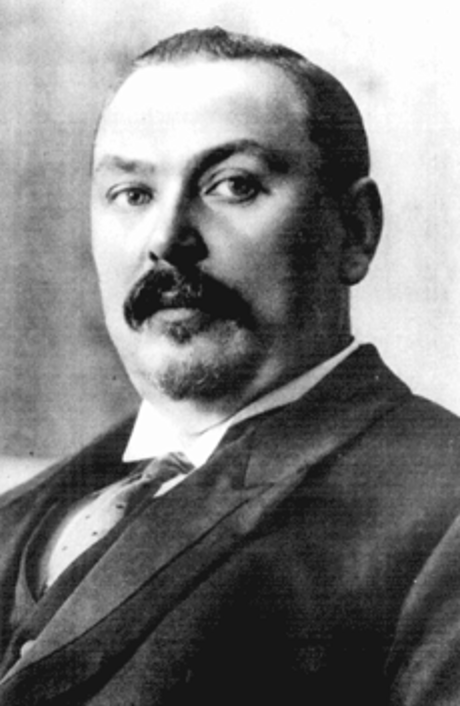 In the bush, some 2,000 Boer’s, led by Louis Botha, silently crept towards the Camp. At 03.00hrs, Botha gave the command to attack and the Boer’s, driving loose horses in front of them to cause confusion, rushed forward. They then opened with heavy rifle fire. The soldiers including those who minutes before had been asleep in their barracks, fought back – it was mainly hand-to-hand combat. The fighting was fierce but seeing one of his men severely wounded Bill leapt from his trench and under a hail of bullets went to the man’s assistance. Unfortunately, Bill was hit in the chest and thigh so was unable to carry the casualty and called for assistance. 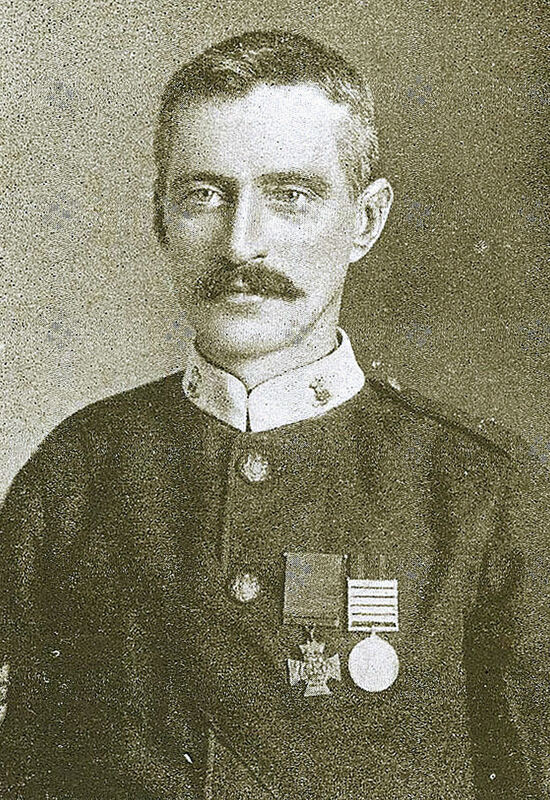 Lance-Corporal Lintott, who was later commended for his bravery, joined him. Between them, they carried the wounded soldier to shelter and although his wounds were serious, Bill remained in command of his section encouraging his men. It was before daybreak that Botha called off his men sending detachments in different directions to confuse the British if they followed. At daybreak, the British tally was twenty-four officers and men killed and fifty-three wounded. It was reported that Bill was amongst the dead and when communications were restored and the War Office sent a telegram to Bill’s wife, to this effect. In fact, Bill survived and in the London Gazette of 17 September 1901, it was announced that he had been awarded the Victoria Cross. The only one given to an N.C.O. or private soldier in the West Yorkshire Regiment in the Boer War. Later that month, on the 29 September, Bill was discharged from the army but the investiture of his VC took place in July 1902, at the York garrison. In the autumn of that year, Bill and his family moved to Dover, where he took up the post of Barrack Warden. He joined in the town’s civilian life but his heart was with the military and in World War I (1914-1918) was mentioned in despatches for valuable services rendered. In 1929, following a dinner for holders of the V.C. at the House of Lords he joined the British Legion becoming one of its staunchest supporters. For ten years, he served as Dover’s Vice-Chairman. Jane, Bill’s wife, died in 1934 and a year later, he retired but stayed in Dover and continued to remain loyal to his regiment. 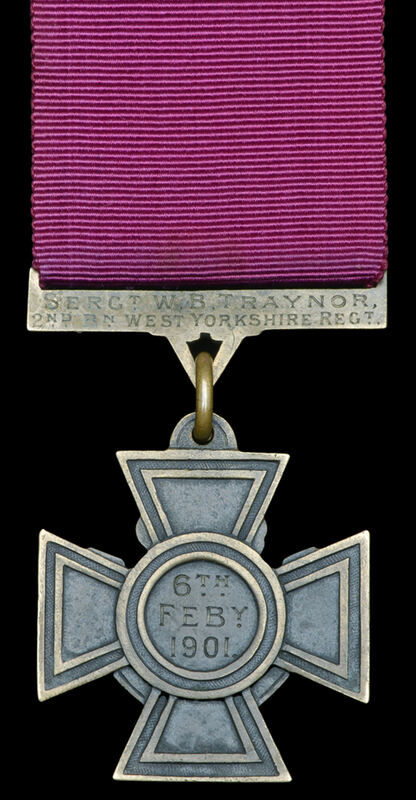 He named his home on Sandwich Road, Whitfield, Ca Ira – the regimental march of the West Yorkshires. In 1951, a special dinner was held in the Maison Dieu – then the Town Hall – to honour the 50th anniversary of Bill’s award. Two years later, he was one of the few non-Freemen invited to a Coronation lunch at the Town Hall held in honour of Hereditary and Honorary Freemen. Bill died on 20 October 1954 aged 83 and was buried at Charlton Cemetery. Military and civic dignitaries including the Mayor of Dover, Reginald Snelgrove, attended his funeral. By that time members of his immediate family were following successful careers in the Army. Since then Bill’s V.C. and other memorabilia have been kept by his family but in December 2012, they came up for auction at Dix Noonan Webb Ltd, Bolton Street, London. The VC fetched £160,000. 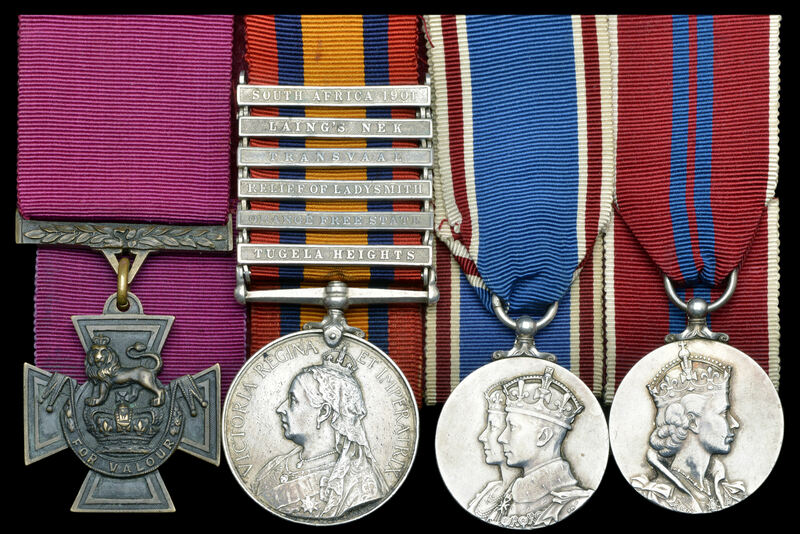 Bill’s other medals were the Queen’s South Africa medal with 6 clasps: Tugela Heights, Orange Free State, Relief of Ladysmith, Transvaal, Laing’s Nek; and the 1937 and 1953 Coronation medals. This entry was posted in Armed Services, People, Traynor William Bernard VC, Traynor William Bernard VC. Bookmark the permalink.